Over the past several years, Wadada Leo Smith has released a slew of impressive albums including 4 on the Finnish TUM Records label. His 5th is out now, a duo recording with bassist and friend titled "Celestial Weather." Recorded 6 months before his 2014 "Great Lakes Suite" release, the CD pairs the trumpeter with his good friend and bassist in the Golden Quartet, John Lindberg. The program includes 3 suites including Smith's "Malachi Favors Maghostut - A Monarch of Creative Music", the title track which is a 5-part improvisation, and Lindberg's "Feathers and Earth." This is intimate music, a conversation between friends, and, as one expect from these musicians, challenging and original material. The best way to approach the music is with open ears. The tribute to the late Favors (1927-2004, the long-time bassist in the Art Ensemble of Chicago and first bassist in Smith's Golden Quartet) is a heartfelt elegy, the first part filled with long tones and bowed bass lines before the duo begins a complicated dance of longer bass runs amidst flurries of trumpet notes mixed with raspy whispers. "Part II" opens with a splendid bass solo and a lovely trumpet melody; while the piece picks with intensity near the end, the music paints an unusual yet powerful portrait. "Feathers and Earth" is a tribute to both large birds (vultures, eagles and hawks) and the world that supports them. Its first part is impressionistic, soaring lines that are often hushed as if the wind carried the sound away. "Part II" is a forceful piece with a well-defined melody line and powerful solos. The title suite, with subtitles that include "Cyclone", "Hurricane", "Icy Fog", "Typhoon" and "Tornado", is actually more fanciful than stormy most of the time. In fact, "Typhoon" is more of a ballad than a fearsome weather event, with muted trumpet, numerous short stretches of silence. Only "Tornado" lives up to its name with the furious twisting bowed bass lines and snaky tendrils of melody from the trumpet - even on this track, there is a section where the 2 musician slow down as if to take shelter. "Celestial Weather" is an often fascinating hour of sonic explorations from 2 musicians comfortable in their own skins and willing to take chances. The excellent sound quality allows the listener to feel the force that is Wadada Leo Smith and the splendid work of John Lindberg. Dig in. For more information, go to tumrecords.com/046-celestial-weather. In 2015, trumpeter, flugelhornist, and composer, John Raymond captured lots of ears with his splendid "Foreign Territory" recording, a session that included pianist Dan Tepfer, bassist Joe Martin and the master drummer Billy Hart (and reviewed here). His new album is John Raymond & Real Feels (Shifting Paradigm Records) and features the leader exclusively on flugelhorn partnered with guitarist Gilad Hekselman (who played on Raymond's 2012 debut CD) and drummer Colin Stranahan. The 10 tracks include several folk songs, Radiohead' leader Thom Yorke's "Atoms for Peace", Charlie Parker's "Donna Lee", Paul McCartney's "Blackbird" and Dave Holland's "Blues for C.M." The recording opens with the lone original work, Raymond's "Thaddeus" (possibly dedicated to another fine flugelhorn player, the late Thad Jones) - it's a snappy piece, showing off the collective strength of the trio. Shanahan swings mightily, Hekselman gets in a great groove and Raymond plays a strong melody and solo. The album is infused with a healthy dose of Americana. The bouncy "I'll Fly Away" (a hymn from the pen of Albert Brumley) may remind some of the work of Bill Frisell and Ron Miles - this trio drives this piece straight to church and into a backyard barbecue. "Amazing Grace" (not American in origin but treated that way in the arrangement) opens with an unaccompanied flugelhorn solo (not the melody)before the drums and guitar enter to help Raymond play the original theme slowly and sweetly. Later in the program, the traditional English ballad "Scarborough Fair" is gently but firmly presented with the undercurrent of Stranahan's floor-tom work and the interactions between Raymond and Hekselman. The trio really swings the daylights out of "This Land is Your Land" with fine solos from flugelhorn and guitar while the drummer creates quite a storm beneath them. The band really digs into "Donna Lee", giving it just the right infusion of bebop while swinging madly. Holland's ode to bassist Charles Mingus is a true blues with the 3 musicians hitting it hard. Hekselman crushes his solo, spurred in by Stranahan's mighty drums. Raymond displays plenty of swagger as he pushes his way through the clamor of his bandmates. The program closes with a impressionist reading of McCartney's "Blackbird", eschewing the melody until late in the piece. It's quite an effective way to end the album in reminding the listener that musicians have the freedom to take songs familiar to most people and have fun while respecting the intent of the composer. There's a feeling of joy throughout the recording, the joy that these musicians have working together and "playing music in the true sense of play. John Raymond & Real Feels is the real deal - kudos all around. For more information, go to www.johnraymondmusic.net. 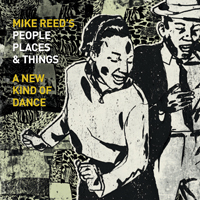 "A New Kind of Dance" (482 Music), the 6th recording from drummer Mike Reed's People Places & Things, was issued in late September of 2015 making a slew of year-end Top 10 lists and I slept on it. My mistake - it's a brilliant set that reminds the listeners that much of the music created throughout the world had and still has a social function. Music brings people together and they interact, either by dancing or singing or playing. 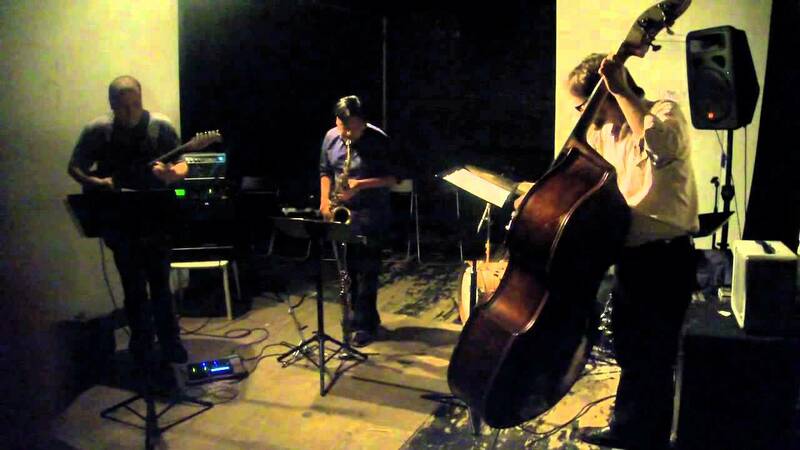 Joining the quartet - Greg Ward (alto saxophone), Tim Haldeman (tenor saxophone), and Jason Roebke (bass) - on 7 of the 10 tracks (but never together are Matthew Shipp (piano) and Marquis Hill (trumpet). If you are already a fan of PP&T, you know how powerful the group's sound can be. Adding Shipp to tracks such as the title song and Reed's "Jackie's Tune" allows the band to stretch in different directions. The pianist brings the drive of McCoy Tyner to "A New Kind of Dance" and gives "Reesie's Waltz" an impressionistic feel while still pushing the music forward. He, Reed and Roebke set the pace on the funky, up-tempo, take of Mos Def's "Fear Not of Man"; the horns enter and the one starts reveling in the solid beats from Reed. 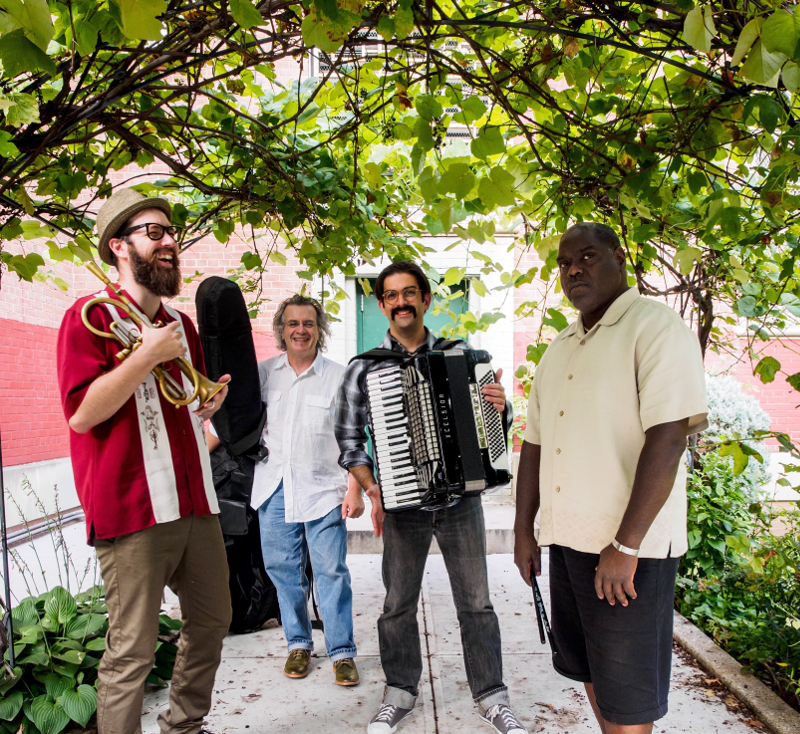 Trumpeter Hill adds a cantorial voice to "Markovsko Horo", a tune that shows its Bulgarian roots from the opening notes, in its Klezmer-like bounce, and the intertwined lines of saxophones and trumpet. When the beat picks up, the music becomes a whirling dervish of sounds. There's a South African bounce in reed player Michael Moore's "Kwela For Taylor" and Hill rides the beat, delivering a spirited solo with Ward and Haldeman spinning their lines around him. When the reeds and brass join on the theme, one feels that gospel-like glow (that you often hear in the music of Abdullah Ibrahim). Reed sits out the sweet version of "Star Crossed Lovers" (from the Ellington & Strayhorn Shakespearean tribute "Such Sweet Thunder.") Bassist Roebke adds excellent counterpoint to the melodic variations of the saxophones and trumpet. While the guests do add much to the stew, the basic quartet plays with its usual gusto and style. "AKA Reib Leitsma", from the pen of the late South African ex-patriate Sean Bergin, closes the program with a strong beat, a reminder that this music, even as the soloists blow mightily, is aimed towards the feet and the heart. Music serves myriad functions, communicating even without words the importance of working, celebrating, and respecting each other. "A New Kind of Dance" will move you in many ways, all of them life-affirming. For more information, go to www.482music.com/albums/482-1092.html. When one stops to think about it, 2016 is a heady time for piano trios. From Fred Hersch to The Bad Plus, Keith Jarrett's Standards Trio to 3-somes led by Kenny Barron, Kenny Werner, Yaron Herman, Shai Maestro, Romain Collin and Jason Moran (and so many more), all kinds of musicale being made around the world every night and day. It's not just economics, I think, but a logical evolution of the music from the days of Errol Garner, George Shearing, Bill Evans and the seemingly indefatigable Ahmad Jamal (85 years old). Throw into that mix the fine pianist Bill Charlap. Over the past 18 - almost 19 - the pianist has led a trio featuring bassist Peter Washington and drummer Kenny Washington (no relation) . Together, they have issued a series of recordings for Blue Note Records and on the Venus label from Japan (Charlap has recorded several CDs for the label with bassist Jay Leonhardt and drummer Bill Stewart under the monicker New York Trio). In 2015, the Charlap Trio backed Tony Bennett on the "The Silver Lining: The Songs of Jerome Kern." Charlap and the Washingtons will be in residence this Friday and Saturday night (1/29-30) at The Side Door Jazz Club in Old Lyme, CT. They'll play several sets of music, new and old, and they;ll do so melodically yet with a rhythmic fire. Would not be surprised if the shows are sold out so call 860-434-0886 or go to thesidedoorjazz.com to get your name on the list. The following Friday (Feb. 5), guitarist Lionel Loueke brings his Trio to Old Lyme and you won't ant to miss that show! Before recording his 3 CD as a leader, pianist and composer Florian Hoefner moved from New York City to St. John's, Newfoundland, Canada. He had been in tumult of the Big Apple since relocating from Berlin, Germany, in 2008 to study at the Manhattan School of Music. Hoefner had already recorded several albums in Germany with a quartet known as Subtone as well as a pair of CDs with saxophonist Roman Ott (one disk featured guitarist Kurt Rosenwinkel with whom the pianist had studied.) Those experiences helped him with his vision for his original music and the subsequent "sound" of his own band. His debut recording as a leader , "Songs Without Words", was issued in 2012 on the Seattle, WA-based OA2 Records label as was 2013's "Falling Up." His quartet, dubbed the Florian Hoefner Group, included bassist Sam Anning, drummer Peter Knonreif, and saxophonist Mike Ruby. 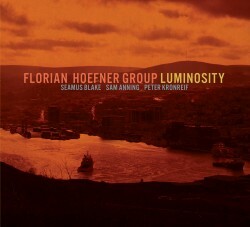 He has moved to OA2's mother label Origin Records for his new album, "Luminosity", 8 songs that feature the same rhythm section but now finds Seamus Blake on saxophones. The music reflects his move to the Northern climes with pieces such as the exciting "Newfound Jig", the introspective "North Country" and the brilliant (as in the quality of light in St. John's) title track. The blend of Blake's soprano sax (he is beholden to no one for his singular sound) and the rippling piano lines plus the highly sympathetic rhythm section make that track stand out. The "Jig" shows its Irish roots at the outset before the band moves into more of a "swing" beat - yet, listen to how Kronreif takes the music in unexpected directions without anyone losing his way. One hears the influence of the Keith Jarrett European Quartet in the high energy of "Elements" and, even there. the music takes a quick turn into a melodic bass solo. When the pianist reenters, the intensity slowly but assuredly returns, propelled by the active rhythm section. After another downshift, Blake enters on tenor saxophone, easily dancing atop the shifting rhythmic landscape. The saxophonist effortlessly shifts into higher gear without losing his melodic side. All of the 8 tracks (all Hoefner originals) clock in over 5 minutes; still, the composer and the band do not just play the theme and rush into long solos. Listen for the interplay, as this is a band that has logged serious "stage time", and you can hear how supportive they are. Sure they can "blow" - all 4 have a great time on "The Bottom Line" - but everything is played with a purpose with the sense of a group sound. "Luminosity" will hold your interest with its expansive melodies, its fine rhythm section, and intelligent solos. The Florian Hoefner Group is a "working band" and it shows in the care they and creativity they give to this music. For more information, go to www.florian-hoefner.com. Over the past decade+, Cuban-born pianist and composer Aruán Ortiz has been impressing audiences and critics alike with his lively piano playing and impressive blend of Cuban, Latin and African rhythms. His 2013 recording with bassist Michael Janisch, "Banned In London", released on Janisch's Whirlwind Recordings, stood out for many reasons, not the least of which was the pianist's lively interactions with saxophonist Greg Osby. He's worked and recorded with trombonist Steve Turre, trumpeter Wallace Roney, and bassist Esperanza Spalding (among others). For his new album, "Hidden Voices" (Intakt Records), he joins forces with bassist Eric Revis (Branford Marsalis Quartet, Tarbaby) and drummer Gerald Cleaver (Craig Taborn, Joe Morris, Roscoe Mitchell) to fashion a most fascinating sound. The 10-song program includes 6 originals, one collective improvisation, a medley 2 Ornette Coleman works ("Open & Close/The Sphinx"), "Skippy" by Thelonious Monk and a Cuban standard "Uno, Dos, y Tres, Que Paso Más Chévere" done as a piano solo. That final song (also the last track on the disk, composed by Rafael Ortiz (no relation), is described by leader as a tune “everybody in Cuba knows from festivities and carnivals." The younger Ortiz gives the song an abstract feel, hinting at the rhythm and the pianist caressing the melody. Elsewhere. Ortiz and company create an open-ended program, from the disjointed yet funky opener "Fractal Sketches" to the inventive re-imagining of "Skippy." On the latter track, Revis propels the music from the bottom while Cleaver and Ortiz spin fascinating webs from the spiky melody. The pianist pushes the melody up and down (at times, sounding somewhat like Matthew Shipp) while the piece rumbles forward. "Caribbean Vortex/Hidden Voices" features the insistent claves of Arturo Stable and Enildo Rasúa, the rhythms supporting the rapid-fire snare work of Cleaver and clanging left hand of the pianist. As the piece moves forward, the piano solo grows in intensity but the rhythms stay steady and solid. The hypnotic single-note piano leads one into "Analytical Symmetry", a piece that opens slowly like a flower then explodes for just a moment before moving inward for a bass - piano dialogue. The 2-part "Arabesques of a Geometrical Rose" opens with a piano solo. Subtitled "Spring", the melody, in places, reminds this writer of Monk in its uncommon beauty. Part 2, "Summer", brings back the rhythm section for a blues-drenched reinterpretation of the initial melody. Revis's thick bass tones and Cleaver's active drumming propel the pianist into a series of short single-note runs interspersed with "dark" chords. Repetition is important to many of these pieces - the piano lines often dictate the rhythms that Gerald Cleaver expands upon while the often-furious bass lines of Eric Revis work in counterpoint to active hands of Aruán Ortiz. "Hidden Voices" may refer to the Cuban artists, poets, playwrights, and musicians who have had to maintain personal and artistic silence for most of the Castro dictatorship. This powerful music now belongs to the world. For more information, go to www.aruan-ortiz.com. The Side Door Jazz Club in Old Lyme is certainly the "hot spot" in a cold January. This Friday night (1/22), clarinetist Oran Etkin brings his "Benny Goodman Project" to the venue and, chances are good, you will really enjoy this show. Not only because the music is a lot of fun but also because Etkin has assembled quite the group for this gig. Joining him will be the splendid vibraphonist Steve Nelson (Dave Holland Quintet), the impressive young pianist Sullivan Fortner, and Israeli drummer Ziv Ravitz (Lee Konitz Quartet, Yaron Herman Trio). The repertoire covers a wide swath of Goodman's career and also includes a number of Etkin's original pieces. In November of last year, I reviewed the CD that Etkin recorded (which includes Nelson and Fortner) writing the album "celebrates the past by making it come alive, not treating the material as museum pieces and not being afraid to take chances (the way Goodman did with his music and his life)." I'm sure it's even better in person! For reservations, go to thesidedoorjazz.com. To learn more about the fine young clarinetist, go to www.oranetkin.com. On Saturday, vocalist Allan Harris comes to OldLyme to perform music from his 2015 album, the appropriately titled "Black Bar Jukebox." Mr. Harris, born in Brooklyn and raised in Harlem, has one of those voices that draws the listener right in. Over his years, the vocalist has dedicated albums to his influences, such as Tony Bennett, Nat "King" Cole", and Billy Strayhorn. The new album features old and new songs, blues and jazz, and several standards. You'll like how the singer inhabits each song, how he makes sure you notably hear the lyrics but also get enjoy the melodies. Not sure who's in the band but the music will be "cooking" no matter who's stirring the pot behind Allan Harris. For tickets, call 860-434-0886. To learn more about the vocalist, visit him at www.allanharris.com. Here's his take on "My Funny Valentine." On Sunday January 24, the "Improvisations: Arcade" series at Real Art Ways in Hartford presents curators Stephen Haynes (cornets) and Joe Morris (guitar, bass) in concert with Yasmine Azaiez (violin) and Adam Matlock (accordion) at 3 p.m. Ms. Azaiez, born in Tunisis and raised in Great Britain, came to the US to study at the New England Conservatory where she met Mr. Morris. Adam Matlock, who has recorded and toured with bassist Mario Pavone, is a member of Broadcloth, an improvising trio with vocalist Annie Rhodes and cellist Nathan Bontrager. For more information, go to www.realartways.org or www.facebook.com/events/924562030931585/. Bassist Matt Geraghty has a most fascinating project (the latest in a group that has taken him many places) you can view (and soon will be able to listen to on a recording) - called "Trade Winds Cuba", the project is an adventure that the bassist and his friend, saxophonist Zé Luis Oliviera, had when they traveled to the island nation of Cuba and decided to record 21 different groups in 21 days. Despite being a very musical culture, the 2 musicians and their team initially have a tough time but word of mouth kicks in and the journey becomes quite an exciting series of collaborations with over 100 musicians, singers, and rappers. Check out the opening video in the series - chances are good you'll want to watch and listen to the rest. To find out more about the project, go to www.mpg21.com. 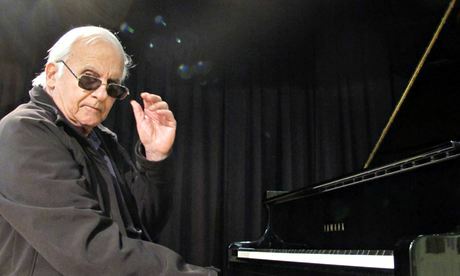 There are plenty of appreciations of Paul Bley floating around the internet since his passing on January - you read Peter Hum's column by clicking here and Ben Ratliff's application in the New York Times here. I bought my first Bley LP in the early 1970s, an electric date titled "Paul Bley & Scorpio" issued on Fantasy (the leader looking quite stoned on the cover). I then discovered his work for ECM, moved backwards to his earlier music and followed along as the decades progressed. Over his career (which spanned 6+ decades (! ), Bley worked with Chet Baker, Charlie Parker, Ornette Coleman, Jimmy Giuffre, Albert Ayler, Charlie Haden and Gary Peacock. He married Carla Bley and, even though they divorced after several years (in the 1960s), he continued to play her music throughout his career. Later in that decade, he married composer-keyboard artist Annette Peacock and, again, though the marriage was short-lived, the pianist play her music for much of his career. Over the past decade, I discovered Paul Bley again through a series of solo piano CDs on the Canadian Justin Time label and on ECM. The pianist claimed he rarely practiced or rehearsed but he would sit and play everyday. In concert, his songs would stretch out, go in various directions, and rarely end up where they began. He was creative and curmudgeonly, to the point, and highly creative Thankfully, he left a world of music behind with much to chew on about creativity, emotion and technique intermingle. David Bowie came to popularity in the late 1960s as The Beatles were breaking down and the Rolling Stones were being busted on a regular basis. Personally, my attention was being turned towards creative Black music and what I felt were more soulful recordings than what a fey rocker was producing ("Space Oddity"). His "glam-rock" phase did not appeal although I liked his more funky recordings such as "Fame" and "Let's Dance." But, it was not until his 2014 collaboration with the Maria Schneider Orchestra that I listened again. (O, I am such a purist! 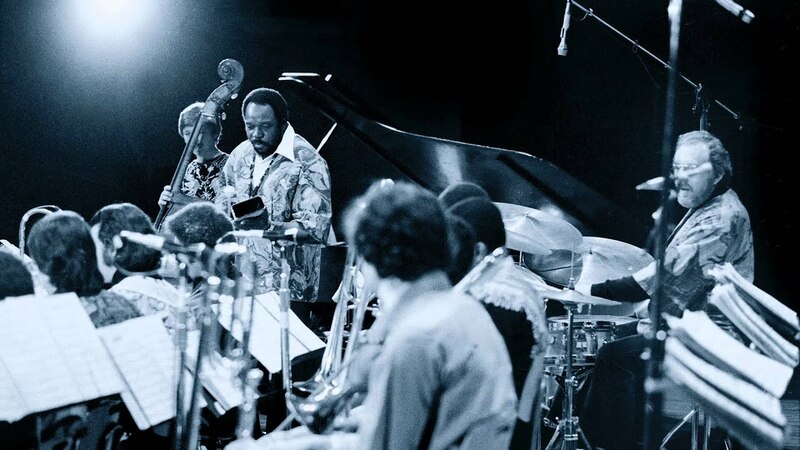 I even missed his 1985 work with the Pat Metheny Group on "The Falcon and The Snowman" as well as the appearance of trumpeter Lester Bowie on "Black Tie White Noise" in 1993). "Sue, (Or, In a Season of Crime)" did make quite an impression and led Bowie to work with Donny McCaslin, Jason Lindner, Mark Giuliana, Tim Lefevbre, and Ben Monder on his latest release "Blackstar" (or "★" ) - in the light of his passing made public earlier today, the darkness of the lyrics on the album make more sense. 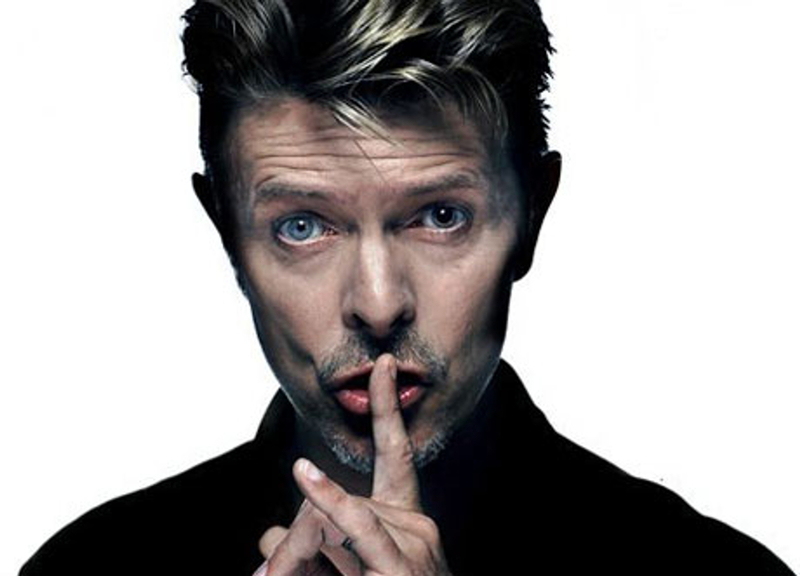 According to his producer Tony Visconti, "He made "Blackstar" for us, his parting gift." Perhaps the best part of this recording is that it's not Bowie meets jazz or Bowie sings standards but an artist looking for new modes of expression. The videos released so far are quite ominous, even scary, but the music buzzes with creativity and Bowie's voice is quite strong. Paul Bley and David Bowie had long productive careers creating music that challenged listeners to follow them on their ever-changing musical paths. Whether you liked their approach or not, both men were artists who kept pushing forward with or without the approval of the general public. 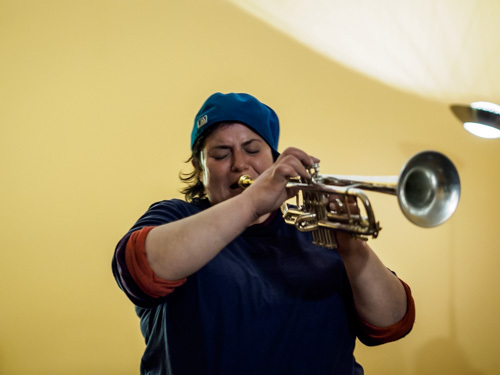 The Uncertainty Music Series presents the duo of Jaimie Branch (trumpet) and Tomeka Reid (cello) this coming Saturday night (1/09) at 8 p.m. in the performance space of Never Ending Books, 810 State Street in New Haven. Ms. 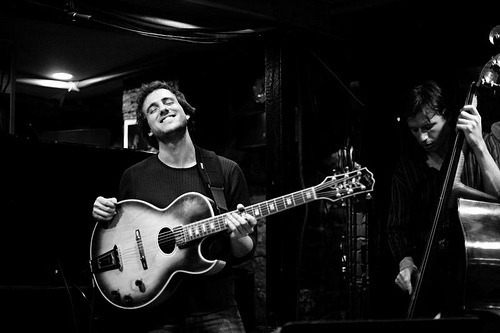 Branch (pictured left) is a graduate of the New England Conservatory of Music, has worked with Ken Vandermark (see below), bassist Jason Ajemian, guitarist Joe Morris, and a slew of others. Her website has no biographical info but does show she's a busy musician in the Chicago-Brooklyn-New York City axis. Ms. Reid, along with Fred Lonborg-Holm and Daniel Levin, has become one of the most important voices on the cello in the 21st Century. She's worked alongside and recorded with flutist Nicole Mitchell, multi-reed masters Roscoe Mitchell and Anthony Braxton, and drummer Mike Reed. In fact, Ms. Reid, Ms. Mitchell, and Mr. Reed released the delightful "Artifacts" (482 Music) in 2015, a tribute to the AACM (my review here), followed several weeks later by her debut CD, "The Tomeka Reid Quartet" (Thirsty Ear), an ensemble featuring guitarist Mary Halvorson, drummer Tomas Fujiwara and bassist Jason Roebke. The Branch-Reid Duo will play the first set and will be joined on the second set by bassist (and series curator) Carl Testa plus a special guest. For more information and directions, go to uncertaintymusic.com. To learn more about Ms. Branch, go to jaimiebranch.wordpress.com. To find out more about Ms. Reid, her website is www.tomekareid.net. Also, here are 2 excellent articles about the cellist, one from Chicago Magazine (here) and from Nate Chinen in Sunday's New York Times (here). Bassist-composer Michael Bisio, perhaps best known for his work with pianist Matthew Shipp, saxophonist Joe McPhee, and a slew of fine recordings for the CIMP label, has always been a musician who loves to explore, making music that goes beyond cliche and genre. 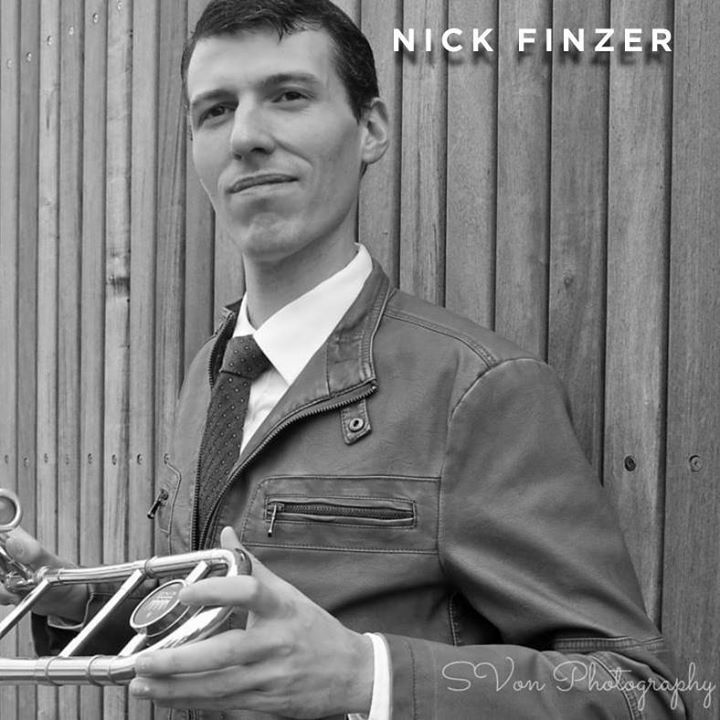 His latest group and its new album, "Accortet" (Relative Pitch Records), is built around the accordion of Art Bailey (who has worked with the Klezmer Conservatory Band, with Darrell Katz's Jazz Composers Alliance Orchestra, and trumpeter Frank London) and the cornet of Kirk Knuffke (who seems to have played on every other recording released in the last 18 months) - add to the mix the complementary work of drummer Michael Wimberly (Steve Coleman, as a composer/performer with the Alvin Ailey Dance Theater) plus the wide-ranging compositions of the leader and this disk is quite a treat. Opening with the loping "AM", the program ranges from the feisty interactions on "Giant Chase" to the gentle ballad "I Want to Do to You What Spring Does to Cherry Trees" to the rubato fire of "Charles Too". There are 2 tracks with the title "Livin' Large"; the first, subtitled "A & D", is duet for accordion and drums that starts slowly then takes off on the power of Wimberly's drums while Bailey moves in and around the beat. The second take, subtitled "C & B", closes the album with a fascinating musical conversation for the bassist and Knuffke that leads to a splendid bass solo before a melodic sendoff. There's a playful undertone to the four musicians explorations on "Times That Bond" (with a sly reference to "A Love Supreme" for good measure) as well as throughout the sonic interactions of "Sun Mystery Ra History" - when the melody is finally revealed on the latter track, it's one of the prettiest on the album. There's much to listen for on "Accortet" - the sound quality is excellent (kudos to Jim Clouse of Park West Studio in Brooklyn, NY), the compositions are thoughtful, and the musicianship unbeatable. Kurt Knuffke continues to impress in every setting he plays in and Art Bailey's musical palette shows how he continues to expand the vocabulary of the accordion. And the rhythm section keeps the music moving while being melodic and adding so many colors. Michael Bisio's music continues to evolve while continuing to challenge and reward the avid listener. For more information, go to michaelbisio.com. I was doing research on Henry Threadgill early one morning, following links on Google and in articles, and came across "Audio One: The Midwest School." 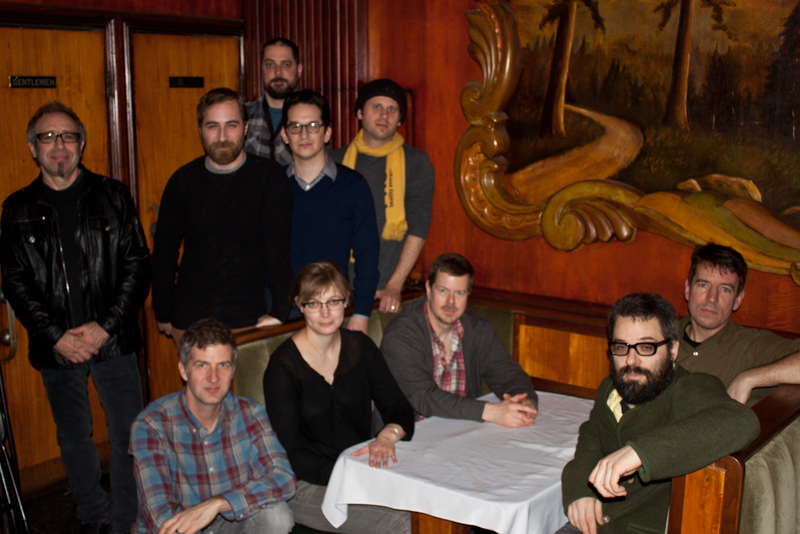 This impressive dectet, organized in Chicago for concerts in 2014 by saxophonist Ken Vandermark, played for 2 nights at the Green Mill in the Windy City, one set featuring music composed by Julius Hemphill, The Art Ensemble of Chicago, Anthony Braxton, and Mr. Threadgill and another set of Vandermark originals dedicated to those musicians (plus a song for the post-punk "screamo" band Anna Karina) - that set is featured on "Audio One: An International Report" and released on Vandermark's Audiographic Records. It's fascinating to hear how the saxophonist arranges this music for a large ensemble, how it both honors the originals and builds upon the ideas in the forward-looking music. That's how KV has approached his music since first emerging on the scene in the 1980s; listen, learn, find your way through the music and keep moving forward. I am still trying to absorb the music but, if you are a fan of any of the musicians honored by "Audio One", go to audioone.bandcamp.com/album/the-midwest-school and check out this music. 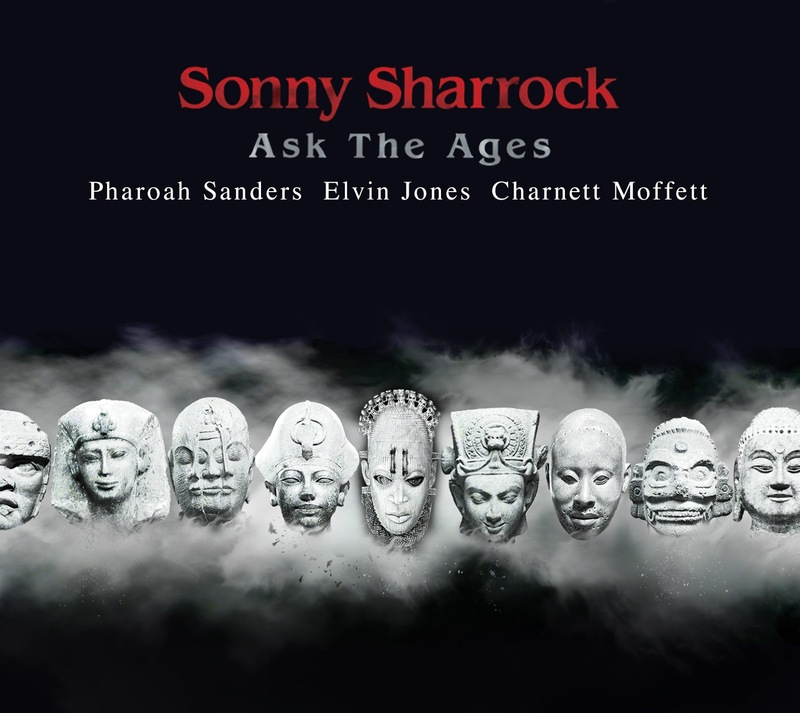 When Axiom Records released Sonny Sharrock's "Ask The Ages" in 1991, no one thought it would the last recording released by the guitarist before he passed in 1994. By the time of its release, Sharrock had been on the contemporary music scene for over 2 decades leading his own bands as well as recording with Miles Davis, Herbie Mann, Don Cherry and with saxophonist Peter Brötzmann, drummer Ronald Shannon Jackson, and bassist Bill Laswell in Last Exit. "Ask the Ages", co-produced by Sharrock and Laswell, featured the great Pharaoh Sanders (tenor and soprano saxophones), the amazing Elvin Jones (drums), and the mighty impressive 24-year old Charnett Moffett (bass). Laswell has re-mastered and "enhanced" the original and re-issued the disk on his M.O.D. Technologies label. It's such a fascinating collaboration, a true fusion of styles that touches on the blues, jazz, the Grateful Dead ("Who Does She Hope To Be" reminds this listener of the best of The Dead's jams), plus the guitar approaches of Carlos Santana and John McLaughlin. 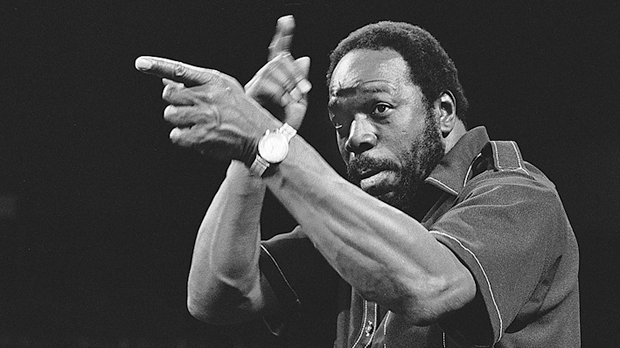 Jones, who was the power source in the John Coltrane Quartet, plays the same role here, really pushing the proceedings on pieces such as "Promises Kept" and "Little Rock." Moffett is not only rock solid but also quite adventurous. His bass lines are never predictable, pushing the music forward and playing counterpoint to both the guitar and saxophone. As for Mr. Sanders, he plays with tremendous fire; his soprano work on "As We Used To Sing" soars and roars yet is quite elegant on "Who Does She Hope.." He tears the heart out of the speakers on "Promises Kept" with his frenetic tenor wails. Sharrock plays with sense of righteous fury (as he usually did), hurling powerful riff and riff throughout this program. He often overdubs several guitars and that's used to great effect on "Many Mansions" when he creates a drone-like sound in both ears while he shreds away in the middle over the rampaging drums. In the same song, the guitarist also shows he's capable of melodic invention as he comes out of fiery spotlight. Sharrock, even at loud volume, can be quite melodic - note the handsome melody of "Once Upon A Time" which over and over above the thunderous drums. "Ask The Ages" feels timeless. Yes, the music reflects the turmoil of the 1960s and the advancements made by Messrs. Coltrane and Sanders but this quartet is not interested in "playing the past" as much as being in the moment. Great sounds and sounds great - for more information, go to www.mod-technologies.com. For his second release on the SteepleChase Look Out label, guitarist, composer, and arranger Gene Segal brought the same band that recorded his 2014 CD "Mental Images" - "Matter" features the guitarist with Jon Irabagon (tenor saxophone), Sam Sadigursky (clarinet, bass clarinet), Sean Conly (bass), and Jaimeo Brown (drums). By now, it's easy to hear that Segal composes with these musicians in mind. The blend of tenor sax and bass clarinet on "Ordinary Matter" sets off the quiet guitar solo just right while Conly's counterpoint is so intelligent. Brown, who can drive with the best of them (and does on a number of these tracks), plays with finesse, stepping out for the dialogue between the reed players and laying a soft cushion of sound underneath the guitar. His gentle introduction to "Strange Matter" sets the tone for the work, a slowly unwinding ballad with such a handsome melody. The hard-rock of "Vortex" features quite a funky beat and chunky guitar chords. Conly thumps out the beat on bass while Brown kicks nice and hard. Segal has got the "chops" but rarely plays to show off - in fact, there are many times he gets "right down" with the rhythm section. He also gets to play around a bit. A huge fan of The Beatles, he closes the program with a lovely take on "Sun King". Sans reeds, he and the rhythm section stretch out, not rushing but enjoying the mood and their interactions. Both Sadigurky and Irabagon get to shine on various tracks. Dig both the high-powered soaring clarinet on the opening track "Faint Memories of Home" and the strong solo on "Patiently Waiting", the "dark reed" feeding off the energy of the rhythm section. The tenor saxophonist shows his melodic side on "Vortex" yet still manages to "rock out" with the band and is wonderfully soulful on "Ordinary Matter." Still, this is Gene Segal's story being told through his compositions and his musicianship. The freedom inherent in these "stories" imbues the music with a "lighter" feel with interactions that feel natural, not forced. The guitar playing is facile but not so "technical" that the listener is impressed by speed or agility. No, Mr. Segal is, philosophically, more like Bill Frisell and Jim Hall in that melody, feel and groove stand out. "Matter" was issued in early Fall of 2015 amidst a flurry of exciting new releases. Don't lose sight of this fine recording by Gene Segal and his excellent band and make sure to look for his other 2 fine CDS. For more information, go to www.genesegal.com. Israeli-born guitarist and composer Gilad Hekselman has been a busy musician since moving to New Yotk City in 2004 He has shared stages and recorded with the likes of saxophonist Mark Turner, drummer Jeff Ballard, bassist Esperanza Spalding, and trumpeter John Raymond (who has a new CD coming later this month with Hekselman that is quite smashing). 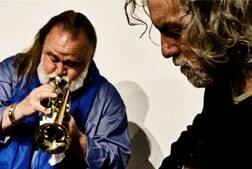 "Homes" is his 5 CD as a leader and 2nd for the Jazz Village/Harmonia Mundi label. The program features his long-time rhythm section of bassist Joe Martin and drummer Marcus Gilmore (Martin has played on all 5 and Gilmore on all but the guitarist's debut). Ballard appears on 2 cuts, the bouncy "Keedee" that has both drummers dancing together joyously beneath guitar and bass. Gilmore sits out the Pat Metheny tune "Last Train Home" while Ballard lays down a playful rhythm. Martin's bass lines bounce right along and the guitarist caresses the handsome melody. Although the album and a number of the song title have to do with "home" (with several exceptions including the delightful take on Bud Powell's "Parisian Thoroughfare"), this is music that will take the listener in may directions. The beautiful take of Baden Powell's "Samba Em Prelúdio" allows one to luxuriate in the melody (the bass counterpoint is just as melodic and the brush work whisper-soft). Hekselman's "Verona" is also a ballad with a more powerful backbeat and a melody line that builds in intensity until Martin's solo calms down the band. The guitarist does ratchet up the energy (certainly Gilmore reacts to it with his explosive percussion) but never gets out of control. The original "Cosmic Patience" is the longest track on the disk (11:16); it has the feel of one of Jimi Hendrix's more contemplative guitar explorations, the overdubbed lead guitar using over the rich chores and countermelodies provided by the second guitar and certain effects. Hekselman plays throughout yet never overstays his welcome - the following track, "Eyes to See", has a fascinating Chopin-like chordal structure and a melody that begs for words. Even prettier is "Dove Song" (related in a rhythmic way to the Powell piece) with Martin's expressive bass work and Gilmore's brushes painting quite a fine backdrop for the lovely solo. "Homes" is a such a warm blanket of sound to wrap around you in the colder weather and a sweet cool breeze during hotter times. The musicians are so simpatico, it feels like one is sitting right next to them as they play. Gilad Hekselman is certainly a much sought-after musician and he continues to grow as a composer and bandleader. For more information, go to www.giladhekselman.com. The Side Door Jazz Club in Old Lyme, CT, has been a haven for trumpeters of all shapes and sizes since opening its doors in 2013. Musicians such as Dave Douglas, Jeremy Pelt, Nicolas Payton, Eddie Henderson, David Weiss, and (just last week), Wallace Roney (among others) have graced the stage. This Friday and Saturday evenings (1/8-9/16), Jan and Ken welcomes Christian Scott aTunde Adjuah and his Quintet. Mr. Scott, a native of New Orleans (and nephew of saxophonist Donald Harrison), studied at the Berklee School of music in Boston and has been touring constantly since the mid-2000s. His 6th CD as a leader, "Christian Scott Stretch Music", is his debut on RopeaDope Records and continues his exploration into new modes of expression. The recording includes 20-year old flutist Elena Pinderhughes and an impressive group of musicians including drummers Corey Fonville and Joe Dyson Jr plus the keyboards of Laurence Fields. Fonville and Fields have been touring with the trumpeter along with saxophonist Braxton Cook, bassist Kris Funn and guitarist Dominic Minix. This should be 2 great nights of music. For ticket information, go to thesidedoorjazz.com or call 860-434-0886.